"Get the thing straight once and for all. The policeman isn’t there to create disorder. The policeman is there to preserve disorder." 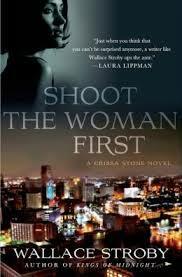 While I’m not normally one who roots for the bad guy—or in this case, the bad girl—I have to admit that I’ve fallen for professional thief Crissa Stone, the protagonist in Wallace Stroby’s new book, Shoot the Woman First. While it may seem strange to cast a thief as the heroine of a story, most of the other characters—from a drug kingpin’s lethal lieutenants to a murderous former Detroit cop on the take—make Crissa, if not always in the right, as least the lesser of many evils. This novel is full of action from the minute that Crissa and her crew try to steal a half-million dollars in drug money and end up in a gun battle to the ensuing chase as crooked cop Burke pursues Crissa to claim the money as his own. 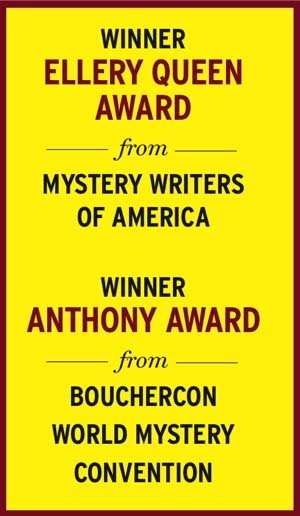 The bad guys are bad, the “good” guy is even worse, and Crissa, the criminal at the heart of this story, shows a softer side that readers can identify with as she tries to track down her former partner’s daughter in order to give her some of the money he stole before dying in a double-cross. The book is violent and often dark, and at times extremely touching, especially moments between Crissa and her partner’s daughter, Haley. Crissa sees her younger self in the shy, sad girl who has meth addicts for caretakers and next to nothing to call her own. The reader can’t help but hope that Crissa can pull Haley out of her circumstances, and in turn, improve her own future. The fact that everything in Crissa’s world has a price, though, including doing a good deed, means that the reader is sitting on pins and needles as the book hurtles toward its inevitable climax. Stroby’s pacing is as relentless as Burke’s search to find Crissa, and while the reader may start this book with a set idea of what is right and wrong, in Crissa’s world, one can’t always tell the difference.